Concord Post 51 plays Kannapolis Post 115 in American Legion Baseball at Northwest Cabarrus High School. First pitch is scheduled for 7 p.m. The same two teams play Saturday at 7 p.m. at Mount Pleasant High School. We won’t be broadcasting that game. Courtesy of J.T. Bost, through June 23. There’s always something good to eat at the ballpark. Northwest Cabarrus has a grill and a deep fryer cooking up good stuff. The Kannapolis Reds host Mooresville in the regular season finale in Junior American Legion Baseball. The Reds need a win to help their playoff chances. They are currently tied for the final spot in the playoffs with the Davidson County Braves. 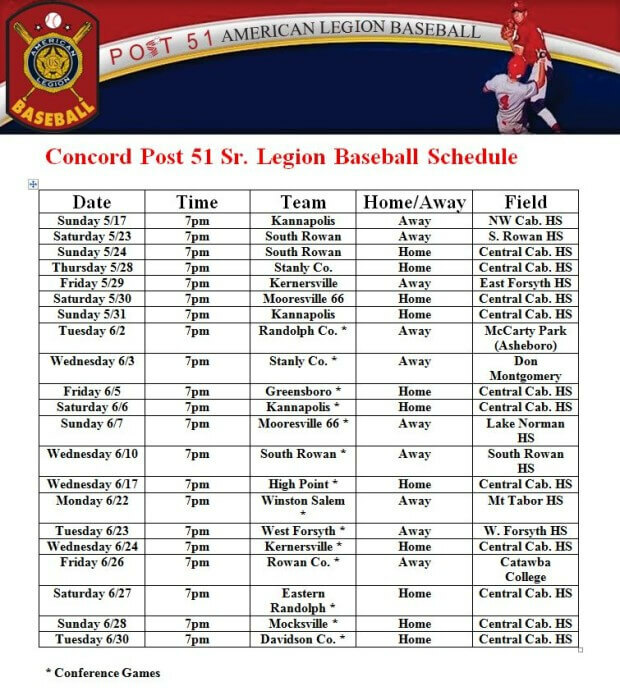 Here is details from Monday’s game with Concord Post 51. Round 5 of the Bojangles’ Summer Shootout is in the books at Charlotte Motor Speedway. There were fireworks on and off the track. Get complete unofficials results on Greater Cabarrus County Sports. The Kannapolis Reds with the 18-8 win over Concord Post 51 kept their playoff hopes alive. The Reds host Mooresville Wednesday at A.L. Brown. The Reds are currently tied for second and the final playoff spot with the Davidson County Braves. The Braves also have one game left. If both teams win, the playoff spot will be decided by a drawing. The teams split their two league games against each other. Concord wraps up its season Wednesday at Lake Norman. Most games now are league games in Area III, but with high school graduation coming up the schedule lightens. Here is the Independent Tribune’s preview story about Kannapolis Post 115. The Independent Tribune also recently previewed Concord Post 51. Here are the unofficial standings and recent score. Mooresville-66 @ Greensboro ppd. to ?? Rowan Co. @ Randolph Co.
Stanly Co. @ Randolph Co.
Randolph Co. @ Stanly Co.
Special thanks to J.T. Bost who compiles scores and standings. Note schedules are subject to change. Eastern Randolph @ Davidson Co.
Southern Rowan @ Rowan Co.
Eastern Randolph @ Stanly Co.
Special thanks to J.T. Bost for compiling scores and schedules. All games played so far are non-league games. Special thanks to J.T. 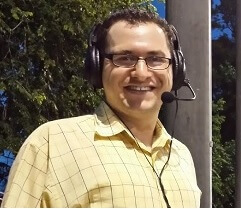 Bost compiled the scores and does so much to promote Area III American Legion Baseball. Here schedules for both teams.